Alaska Airlines is a smaller airline with big ambitious that is growing quickly from its base on the West Coast, including frequent service throughout Alaska and Hawaii. They also partner with American Airlines, so if you're a frequent flyer with this domestic giant, you might find yourself on an Alaska codeshare sometime soon. Such partnerships are a critical aspect of Alaska's business model. 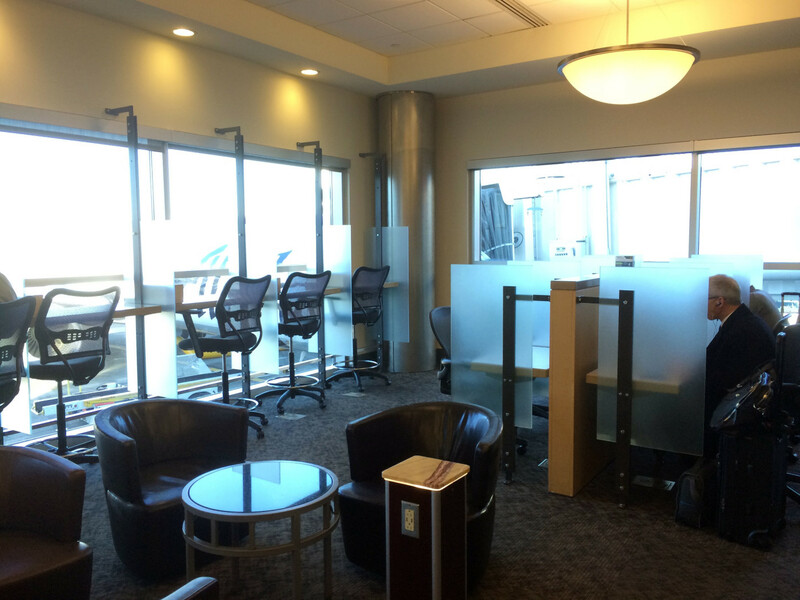 Although the airline has just five lounges, which it calls Alaska Lounges, members have access to a large number of partner lounges. 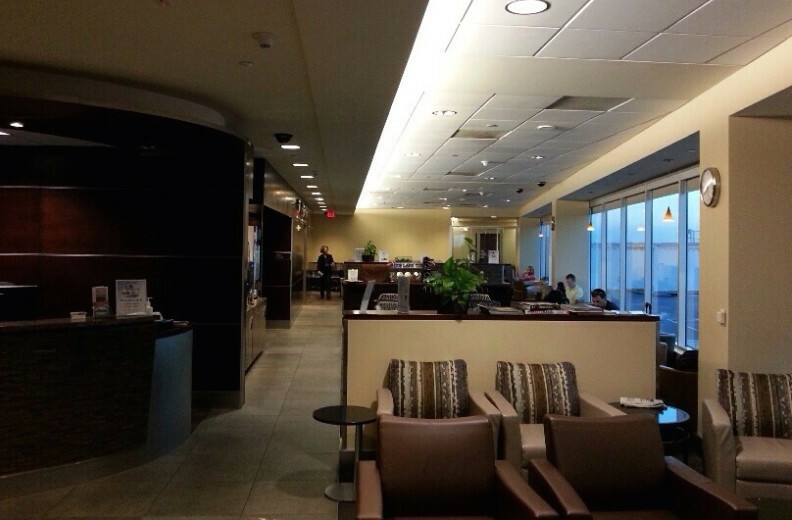 Admirals Club members can also visit the Alaska Lounge for free when flying with American or Alaska. LoungeBuddy will alert you if you qualify for free access through the above partnerships or any credit card programs. 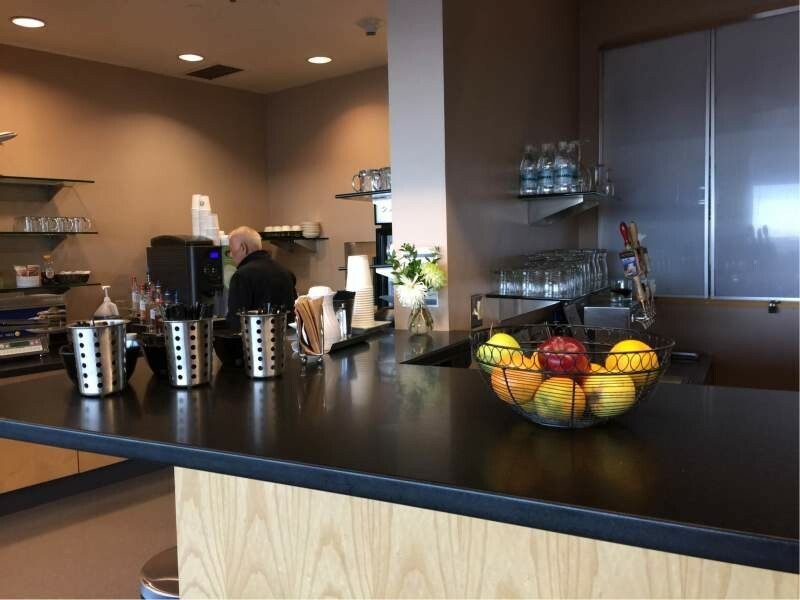 All Alaska Lounge locations offer complimentary alcoholic beverages, hot and cold snacks, free wireless Internet access, televisions, and a selection of magazines and newspapers. Many of the products available reflect Alaska's commitment to sourcing from local vendors. For example, you'll find Alaskan Amber craft beer on tap, Starbucks coffee, and work by glass artist Dale Chihuly. Because Alaska is still a small carrier, it places special importance on customer service and has some excellent amenities. Think of it as their version of small-town charm. 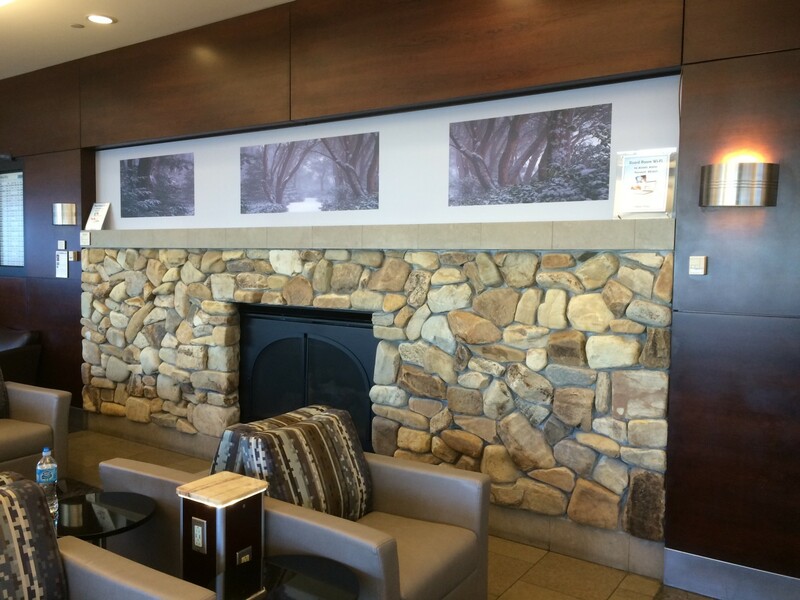 In fact, most Alaska Lounges have a decor that will remind you of a Northwest lodge. Here are more details on what to expect at each Alaska Lounge location. 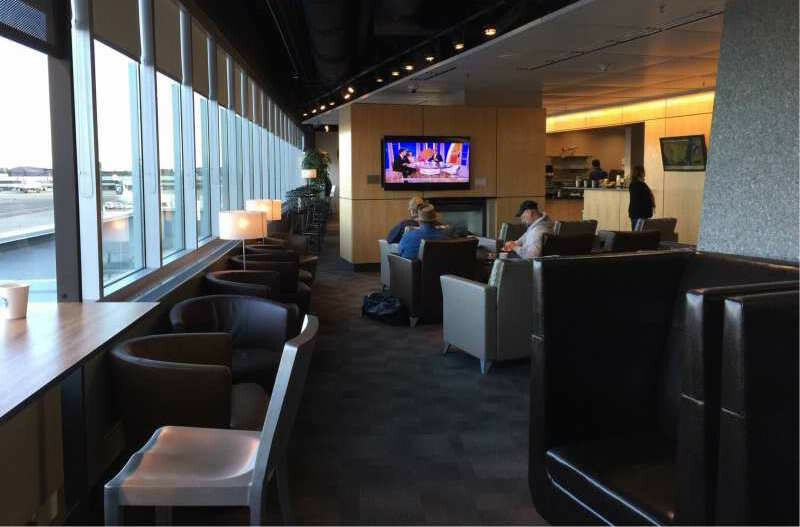 Centrally located between Concourses C and D, Alaska's flagship Alaska Lounge covers two floors with a fireplace, two conference rooms, and floor-to-ceiling windows that look out onto dozens of Alaska jets parked at the passenger gates. 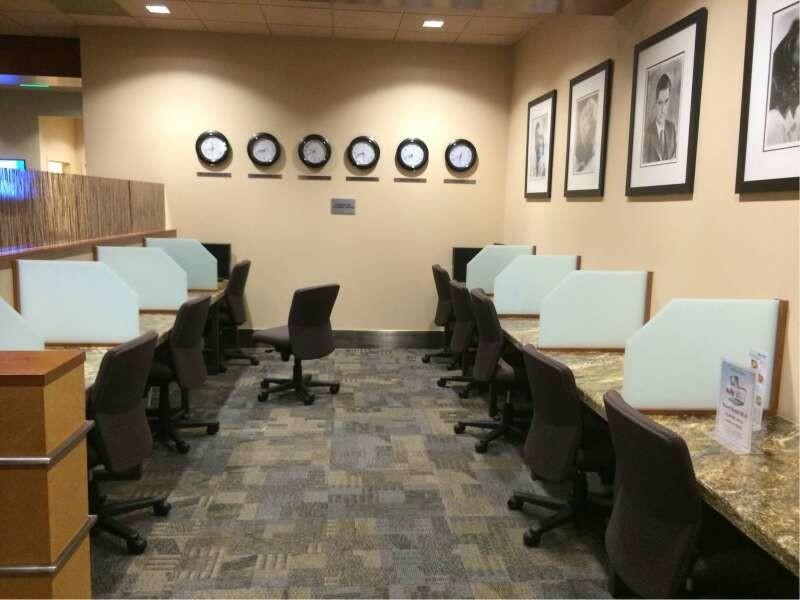 Each floor contains a rear hallway with refreshments and restrooms behind the larger seating area. Many guests head straight to the coffee station on the main floor. In addition to carafes of drip coffee and multiple flavor pumps, there is a high-end espresso machine that can make foam on a cappuccino almost as good as your local barista. You'll also find baked goods, cereal, and a small refrigerator with yogurt and produce. Soft drinks are self-serve. 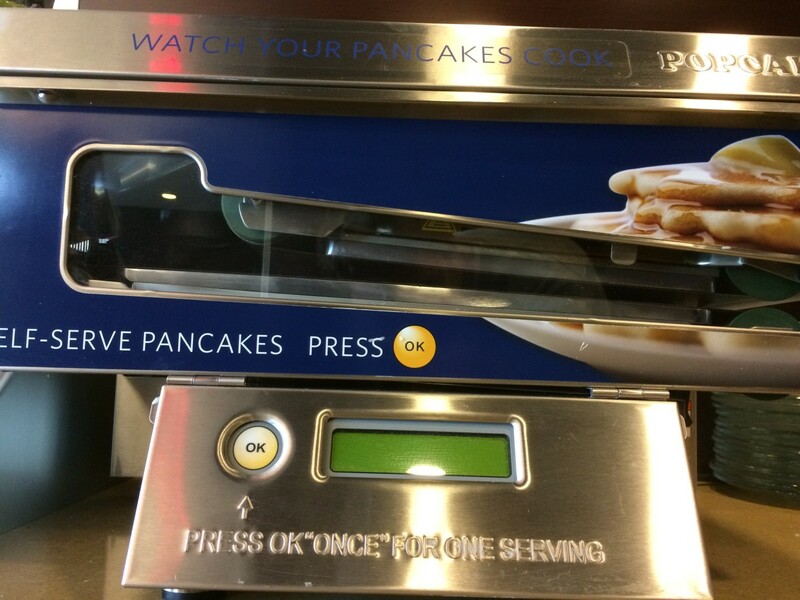 The food selection improves upstairs where a pancake machine lets you watch the action as it "prints" two pancakes on demand. 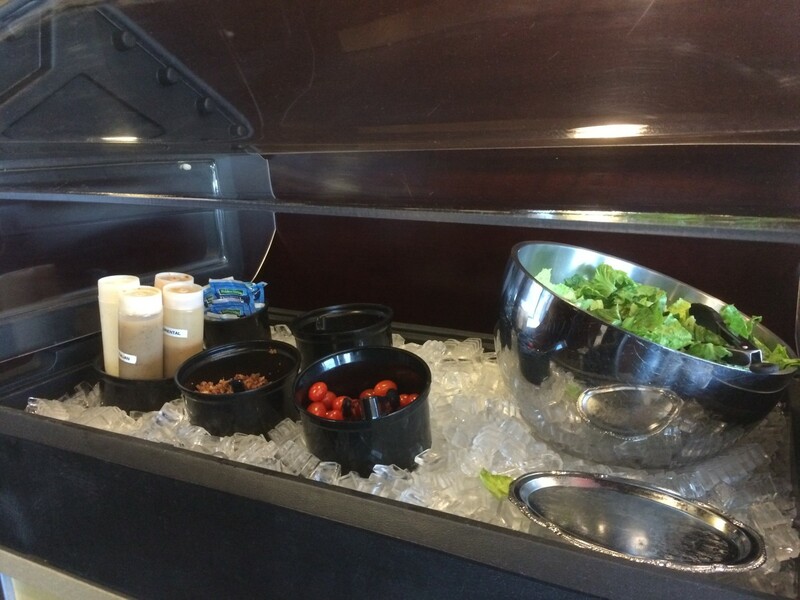 A salad bar, hot soup, and chips and salsa are set up in the afternoons. Although there is no traditional bar, a wide variety of complimentary alcoholic beverages are served through a small window. Specialty cocktails are available for an additional fee, as are specialty wines. For example, a half-bottle of Rombauer Chardonnay or Zinfandel is available for $20. Upstairs seating is livelier, with open seating that features clusters of chairs and a few dining tables at one end. Power outlets are everywhere, and a large television displays either the news or the latest Seahawks game. Downstairs, you'll find rows of seats for quiet relaxing. 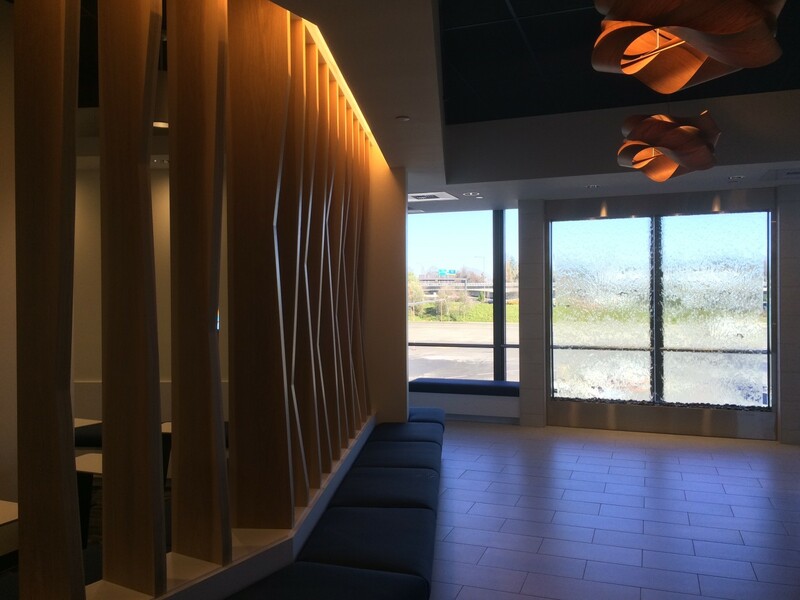 Stools along the window let you work with a view, and small cubicles provide additional privacy to business travelers trying to catch up on work. 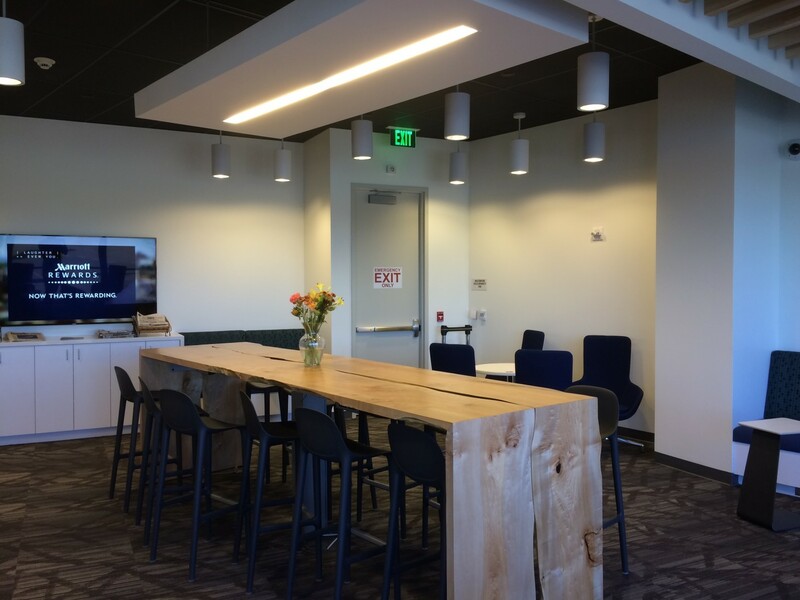 Alaska Airlines recently opened its second Alaska Lounge location in a temporary space in the North Satellite. Seattle is Alaska's main hub, so the original Alaska Lounge was becoming crowded. Now, passengers leaving from this area will have their own lounge. Eventually, the entire North Satellite will be renovated, and a new, permanent Alaska Lounge will be constructed. Although "temporary", this lounge is still a relaxing place to wait. A waterfall graces the entrance, and white tile and natural wood are a departure from Alaska's usual woodsy look. To the right are a full-sized bar and the mandatory espresso station. Snacks, pancakes, and soup can be found to the left. There are no conference facilities here, but Alaska has provided a long common table hewn from a single felled tree. 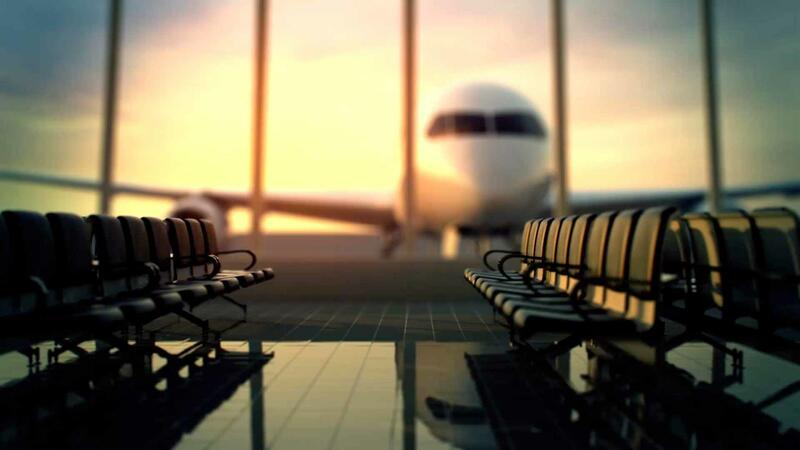 Alaska recently announced plans for a third Alaska Lounge to open in Concourse C. This will not be a far walk from the first lounge in Concourse D, but it does reflect plans to continue expanding to meet passenger demand. Anchorage is a major hub for travelers to the smaller cities of rural Alaska, where Alaska Airlines got its name. Flights arrive at all times of day, so it is no surprise that Anchorage's Alaska Lounge here is open longer than most. 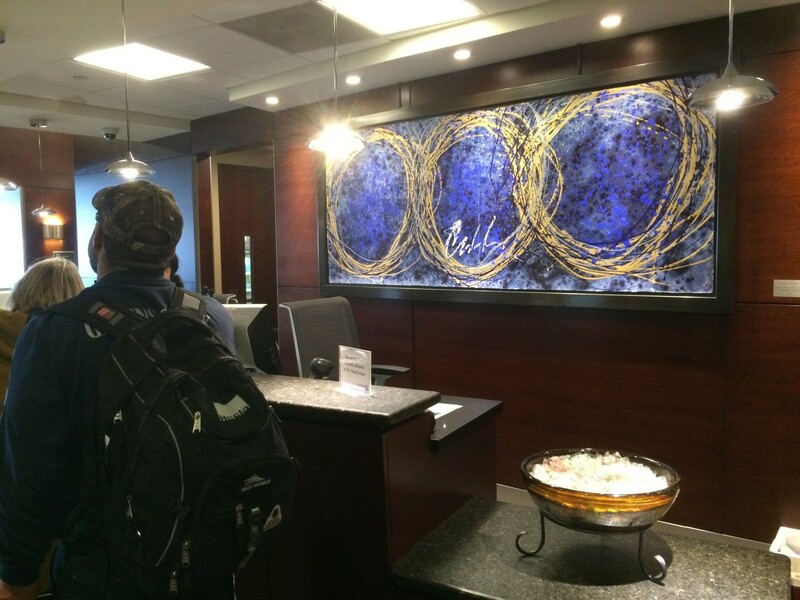 The lounge is located upstairs in Concourse C, so you'll need to take the stairs or elevator to reach reception. Most of the seating is arranged in a long space along the windows to provide plenty of natural light. An alcove for snacks and a small bar are at one end. 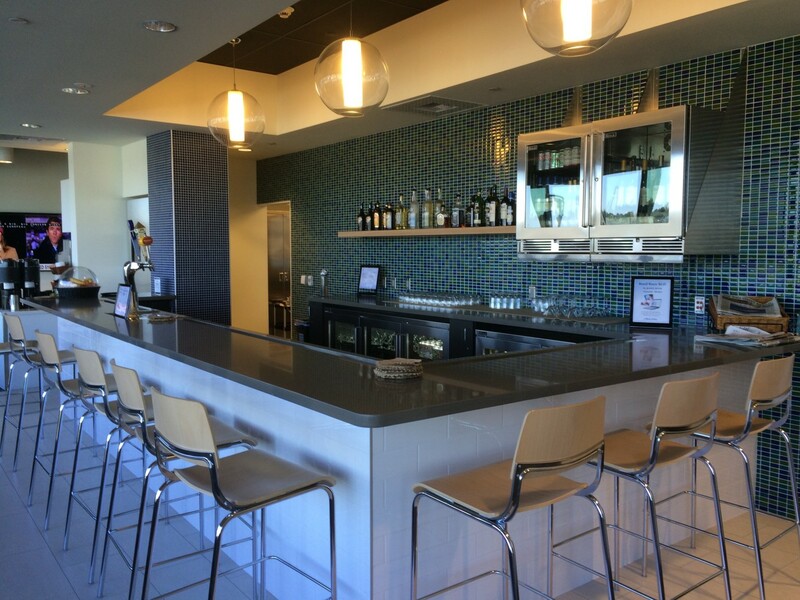 As in Seattle's flagship lounge, the emphasis is on providing you a drink that you then take back to your seat. A few larger tables are provided, and there's a small business center in the back corner. Additional lounge chairs face the television, which sits over the fireplace in the middle of the room. This is the only airport lounge at Anchorage, and it's good to see that Alaska has invested in keeping its passengers comfortable on their way to and from more remote destinations. Portland is another major Alaska Airlines hub, and many new routes operate from either here or the Seattle headquarters. Alaska's Portland Alaska Lounge stretches the length of two or three gates on a single level. However, it has many of the same features that you'll find in Seattle. Self-serve soft drinks and coffee are served on a counter that runs along the wall across from the windows. Like at Seattle, alcoholic beverages can be ordered from a window, as there is no formal "bar". A variety of hot and cold snacks are served from an island in the middle of the room. Three separate seating areas are arranged to provide travelers with privacy or company depending on their preference. Dining tables and chairs near the entrance offer a better space for groups. Pairs of seats line the windows with small tables, and additional rows of padded seats are available on either end. Some of these are tall chairs with privacy walls that solo flyers will appreciate. The Alaska Lounge at LAX is a large open space on the upper level and was renovated in 2012. Still, it maintains the Northwest style common to most Alaska Lounge locations with ample use of wood, stone, and brown leather. 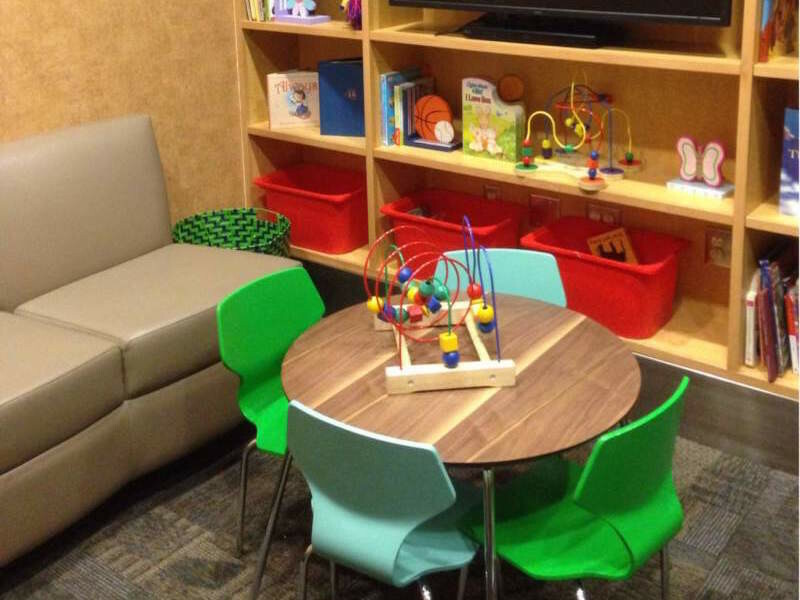 This location also has a children's room, which is not found at other locations. Most of the seating is arranged in rows of cushioned chairs, along with numerous ottomans and power outlets. However, the second half of the lounge has a large bar. Draft beer, cocktails, and wine are provided with stools for about a half-dozen patrons. Dining tables are also available in the middle of this area and along the window. Los Angeles is best compared to the flagship Alaska Lounge in Seattle. Snacks, salad, and hot soup are provided complimentary along with a breakfast spread and pancakes in the morning. These are laid out along one large counter near the bar. In addition, simple dishes like a reheated frozen pizza are available for an additional charge. Annual membership can also be purchased for a fee of $295 to $450, with discounts offered when you renew. Members may bring their immediate family or up to two guests. 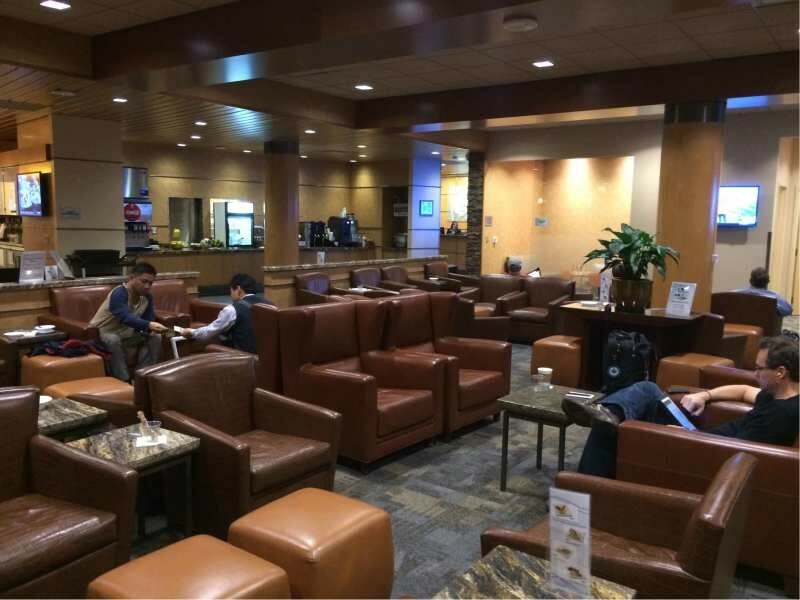 Complimentary access is provided to the Alaska Lounge when traveling in first class on either a paid ticket or an award ticket booked through Alaska's Mileage Plan program. 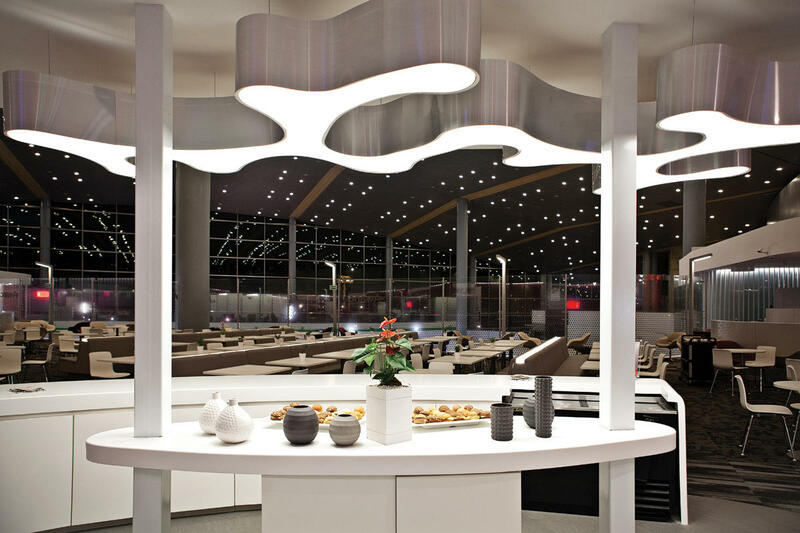 Members of American Airlines' Admirals Club and those who carry the Citi Executive AAdvantage WorldElite MasterCard may also access the Alaska Lounge when traveling on either Alaska or American Airlines.